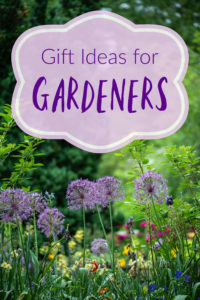 We have been doing Girl Scouts for several years, and as a Troop Leader, I am always looking for different experiences with my kids. I was able to set up a grocery store tour at our local Hannaford when the kids were in Brownies. 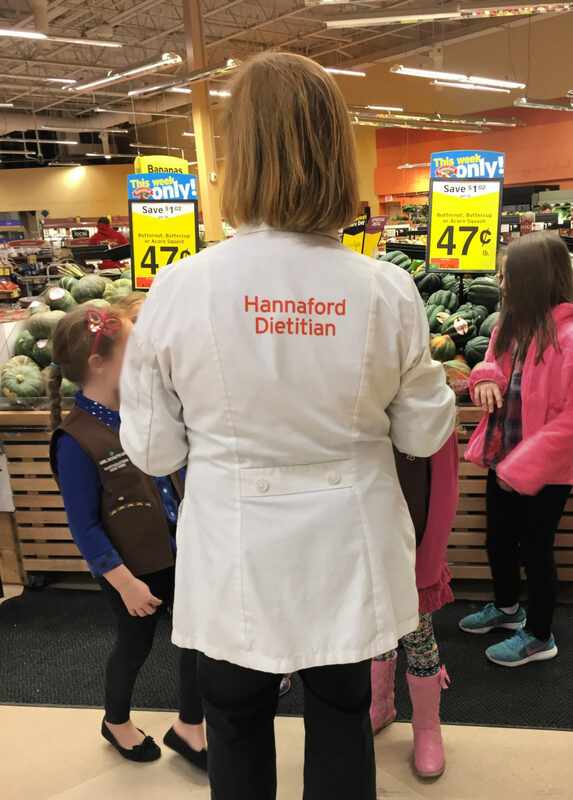 For the tour, the girls met with a Hannaford Dietician, who walked through the store talking about products and healthy choices. I had met with the dietician prior to the tour just to touch base about what the tour would include. 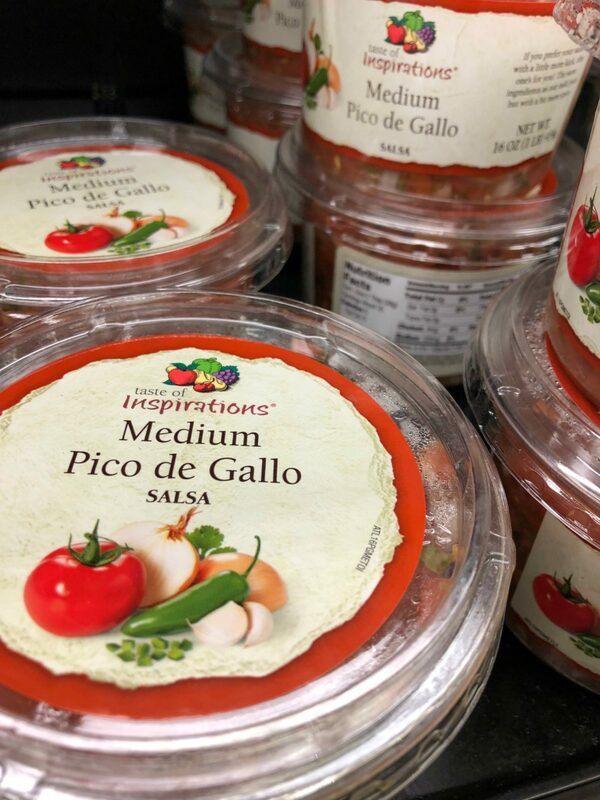 The tour touched on a lot of things like healthy eating, how to spot healthy foods, how to read labels, and so on. The kids got to sample a healthy recipe as well. 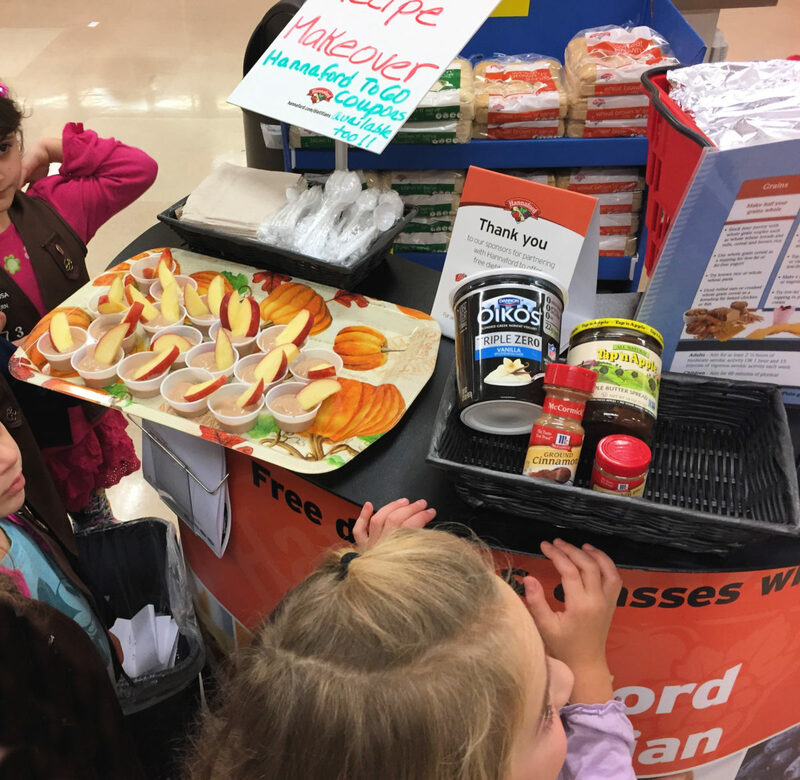 Our Hannaford Dietician regularly does some neat sampling stations, and the girls enjoyed their treat of apples with a cinnamon-yogurt dip. Overall, this was a neat tour to do with our Girl Scouts. We did this when our troop was in 2nd grade, and I can see us going back to do another tour as the girls get older, and being able to focus more on how to make healthy choices. 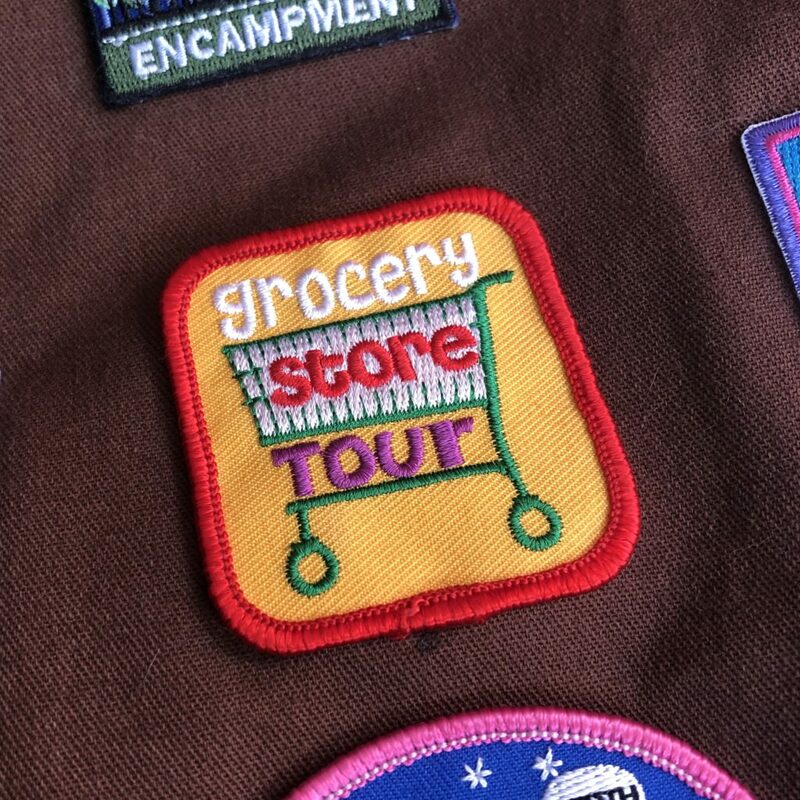 There are a bunch of Grocery Store Tour patches to choose from as well when you do this tour. 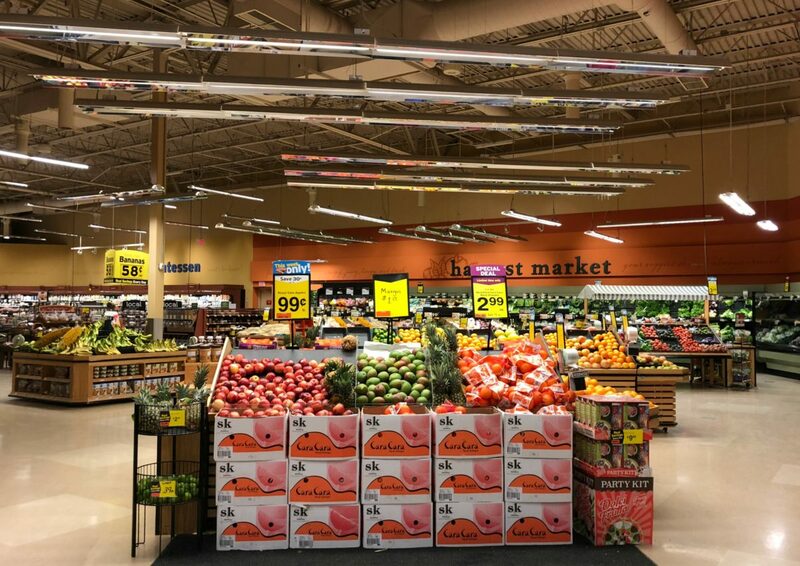 We did our tour at Hannaford, but I would just get in touch with your local grocery store to see if they do tours for scouts. I don’t know anything about Girl Scouts or their badges they can earn now. Sure they loved the grocery store tour and earning their badge. I always wanted to be a girl scout for the badges! I was all about the rewards. I hope when I have kids I can give them this experience that I missed out on. The tour looks like a lot of fun! I miss my Girl Scout years. I had a ton of fun making up fun meetings and I loved the girls!